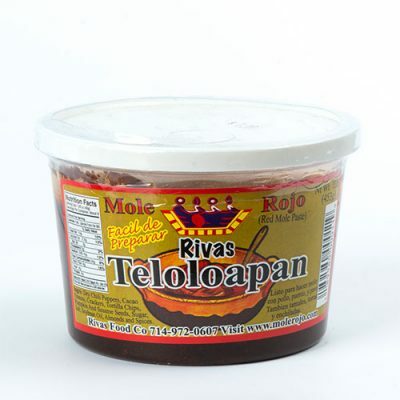 Mole (from Nahuatl mōlli, “sauce”) is the generic name for a number of sauces originally used in Mexican cuisine. Outside Mexico and worldwide, it often refers specifically to mole poblano, a type of Mexican sauce. It’s difficult to pinpoint the orgin of Mexican mole, as three states in Mexico claim to be the origin of mole: Puebla, Oaxaca, and Tlaxcala! However, a common legend of the creation of mole takes place at the Convent of Santa Rosa in Puebla in the colonial period. When the convent heard the archbishop of Puebla was going to visit, the nuns panicked because they were poor and had nothing to prepare. The nuns prayed and brought together the little bits of what they did have, including chilli peppers, spices, day-old bread, nuts, and a little chocolate. The archbishop loved it. When one of the nuns was asked the name of the dish, she replied, “I made a mole.” Mole was the ancient word for mix and now this word is widely used to refer to a Mexican mix, commonly used as a sauce or dip. A similar version of the story says that monk Fray Pascual invented the dish. He was to serve the archbishop of Puebla. In this version, spices were knocked over or blown over into pots in which turkeys were cooking. Thus, creating the mole! Generally, a Mexican mole sauce contains a fruit, chilli pepper, nut and spices like black pepper, cinnamon and cumin. Moles come in various flavours and ingredients, with chilli peppers as the common factor. 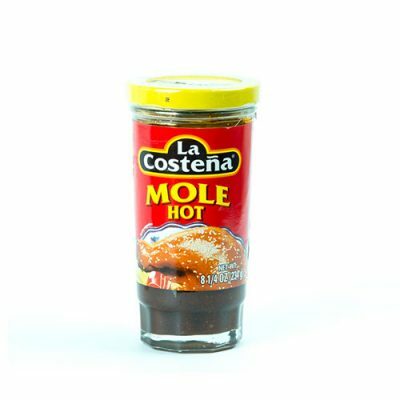 However, classic mole is called mole poblano, which is a dark red or brown sauce. The dish has become a symbol of Mexico’s heritage, both for the ingredients it contains, as well as the legends surrounding its origin. 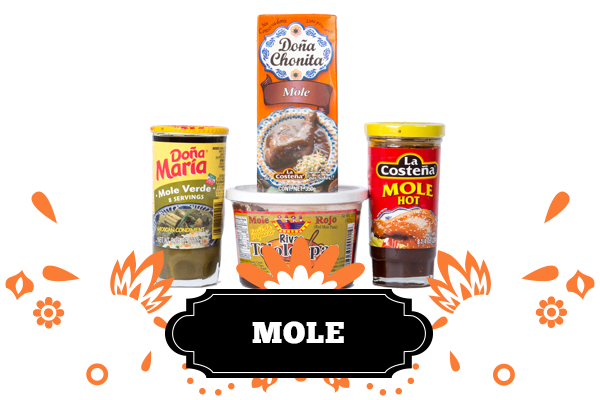 For your Mexican mole needs, take a browse at our shop below.